Friday, May 17, 6:00 p.m. – 12:00 a.m.
Saturday, May 18, 11:00 a.m. – 12:00 a.m.
Sunday, May 19, 11:00 a.m. – 6:00 p.m.
Stay in the know and click here to view the Wildflower! Festival Map. The City of Richardson strives to make sure Wildflower! is an accessible event. Accommodation requests for persons with disabilities should be made at least 14 days in advance of the Festival by contacting the ADA Coordinator, via phone at 972-744-4208, via email at ADACoordinator@cor.gov, or by appointment at 411 W. Arapaho Road, Richardson, TX 75080. Individuals needing to schedule assistance with DART Paratransit please contact DART directly at 214-515-7272. Handicap Parking is located on the east side of the Festival site in the Bank of America parking lot (off of Glenville Drive, adjacent to the Gateway) and is designated on the Festival Map. Ticket holders are allowed to exit and re-enter the Festival each day by obtaining a hand stamp at the Gateway. Re-entry is only valid for day of ticket purchase and designated hand stamp is required. Persons and belongings entering the site may be subject to search for any prohibited items. Unauthorized vendors including unauthorized solicitors and materials including handbills, stickers, beach balls, give-aways, samples, etc. Emergency Personnel is provided by the City of Richardson Fire Department and is on site to assist as needed. You can find the First Aide tent on the Festival Map. In the case of an emergency, please notify a police officer, security or staff member right away. No pets are allowed. Only animals that assist people with disabilities will be permitted. The tasks performed by the service animal must be directly related to the person’s disability. All service animals must remain on a leash or harness and may not be left unattended. Please make sure service animals are wearing all appropriate identifications and tags. Your safety as a Festival attendee is our top priority. The City of Richardson Police Department and a private security company provide on-site security and monitor the Festival grounds throughout the weekend. Available at the Festival Gateways, the WF! Kids Safety Tag Program gives parents the opportunity to write down their phone number on a provided wristband and place it on their child to wear throughout the day. This allows staff and security personnel to reunite a child separated from his or her parents in a fast and reliable way. We also strongly recommend that parents take a photo of your child on the day of the Festival to ensure that an accurate description can be provided to our staff in the event that you get separated from them. All performances and events at the Wildflower! Arts and Music Festival (“Festival”) are rain or shine and are subject to change or cancellation by the City of Richardson without notice. No refunds or exchanges except for cancellation of the Festival. The City of Richardson is not responsible for the condition of any private property, buildings or grounds within or adjacent to the Festival site. The user of this ticket assumes all risks and danger associated with the Festival, whether occurring prior to, during or after the Festival, including, without limitation, personal injury (including death) and property damage, caused by the acts or omissions of others (including Festival invitees, public attendees, performers and participants), and agrees to hold the City of Richardson, its officers, employees, agents, sponsors harmless from any such injuries or damages. The City of Richardson reserves the right to remove anyone from the Festival who violates any law, or Festival rule or regulation. 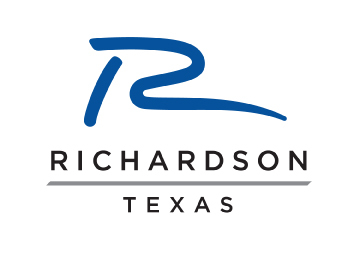 Use of the Festival site for any promotional or commercial purposes without the prior written consent of the City of Richardson is strictly prohibited. The user grants the City of Richardson the right to use his or her name and likeness obtained in connection with the use of this ticket for any publicity or advertising purposes. Tickets obtained from sources other than the City of Richardson and its authorized agents shall not be honored. Lost, stolen or damaged tickets shall not be replaced. The resale of any ticket is strictly prohibited. Smoking is prohibited except in designated areas. Snacks and drinks for toddlers are allowed. Each ticket holder can bring in one factory sealed water bottle up to 1 liter. Audio or video recording devices are prohibited within the Festival. Persons and belongings entering the Festival site may be subject to inspection for any prohibited items. Thank you for your cooperation. During the Festival Lost & Found items can be located at the Wildflower! Information tent, in the center of the Festival (Festival Map). After the Festival, contact the City of Richardson Community Events at 972-744-4580. Lost items are held for 30 days and then donated to a local charity. Wildflower! is not responsible for any lost items. Take US 75 North (Central Expressway) and exit Galatyn Parkway/Renner Road in Richardson. The Festival site is located just east of US 75 between Galatyn Parkway and Lookout Drive. Exit Galatyn Parkway and take a right. Follow the parking signs to either park onsite under covered parking or in the surrounding surface lots. Take US 75 South into Richardson, exit Galatyn Parkway/Campbell Road in Richardson. The Festival site is located just east of US 75 between Galatyn Parkway and Lookout Drive. Exit Galatyn Parkway and take a left. Follow the parking signs to either park on-site under covered parking or in the surrounding surface lots. Beat the traffic and ride the DART Red Line Light Rail system straight to Wildflower! The Galatyn Park Station is located adjacent to the West side of the Festival grounds. Click here to review the Red Line schedule. Residents must present their current City of Richardson water bill, utility bill, phone bill or a valid driver’s license with a Richardson address at the following locations during business hours to purchase discounted tickets. Residents can purchase up to (6) tickets per household. Resident discount tickets are not available after 5:00 pm Friday, May 17. Access to preferred VIP seating at the Wildflower! Plaza Stage and Methodist Richardson Amphitheater Stage and access to all areas available to General Admission ticket holders. Complimentary food and beverages (including beer and wine). Shaded and relaxed seating in the VIP Hospitality Lounge. Stay the night and rock out the entire weekend at Wildflower! Stay a while and enjoy the entire Wildflower! experience! Click here to check out one of the many hotel packages offered, allowing you to purchase your ticket and book your hotel room at the same time. Maximum of 2 credentials and 1 parking pass per day, per media outlet. Requesting media personnel must be on assignment by a legitimate media outlet to cover the Festival. Credentials will be issued to only pre-approved media. Family members or guests will not be considered for credentials. Only internet sites that are affiliated with a major network or major publication will be considered. Credentials are not approved for on-air radio or television personalities who are not on assignment at Wildflower! All members of the media must wear Wildflower! issued credentials while onsite. and must provide copy of editorial upon request. Click here to request media credentials. Requests must be submitted by May 10, 2019. Credentials will not be issued weekend of Festival. All media outlets must sign the City of Richardson’s standard photo release form and follow the photography instructions. The Wildflower! photography policy is the first three songs from the photo pit unless otherwise authorized. This policy is subject to change and advance approval is required by each individual performer. Our press team will notify photographers at the festival of any further restrictions or modifications. On occasion additional photography release forms are required to be signed by photographers before extended access is granted. Photographers who are granted a media credential must agree to abide by all Festival policies. Wildflower! Arts & Music Festival does not assist in arranging interviews with performers. Reporters bear the sole responsibility of arranging interviews through artists publicists. As a convenience, Wildflower! will provide, upon request, a list of artists’ publicists to qualified media outlets. If permission is granted, the reporter must confirm all arrangements with the publicist including notification of approval to the artist’s tour or road manager who will provide the reporter access to the interview at the Festival. Interested in being a 2019 LegacyTexas WF! MarketPlace vendor? The LegacyTexas WF! Marketplace is your one stop shop for local and regional goods! From accessories, to unique art, to home decor and specialty clothing, the Marketplace offers a wild shopping experience. Click to view the 2019 LegacyTexas WF! Marketplace Application. For additional information contact alison.rhinebarger@cor.gov. Interested in learning what Wildflower! can do for you as a Sponsor or Exhibitor? Click here to view the 2019 Sponsor & Exhibitor Prospectus. Interested in being a 2019 WF! Eats vendor? Color photograph of your booth set-up, including size specifications. A complete menu of food items you will offer, including size and price. Photographs of your food presentation, especially if you are offering a unique item. A reference list of other events you have participated in (contact information for Festival personnel is required). ACCEPTED VENDORS are required to turn in a Comprehensive General Liability Certificate of Insurance in favor of the City, such insurance to afford protection to the limit of not less than $1,000,000 in respect to bodily injury or death to any number of persons in any one accident, and to the limit of not less than $1,000,000 in respect to property damage. Such policy shall name the City of Richardson as additional insured. Email your Press Kit to Spencer Doyle at spencer.doyle@cor.gov. At this time, Wildflower! is no longer accepting entries from local and regional bands interested in performing at the 2019 Wildflower! Arts and Music Festival. All bands/entertainers selected to perform will be contacted by January 15, 2019. Please note that all acts are selected by a programming committee and are chosen based on programming needs, appropriateness to event, talent level, event budget, and meeting of criteria eligibility. Please check back in August 2019, for information on how to submit your Electronic Press Kit (EPK) for consideration for the 2020 Wildflower! Arts and Music Festival. Submit your Electronic Press Kit (EPK) to dianna.lawrence@cor.gov. Due to the high volume of entries, Wildflower! cannot guarantee someone will respond personally to your submission, however, the Festival does review all materials received. Enter the Al Johnson Performing Songwriter Contest and be selected as one of the 10 finalists for your opportunity to perform at Wildflower!. Finalist will compete on the UnitedHealthcare Singer Songwriter Stage for four three different prizes and the opportunity to perform on the Wildflower! CityLine Stage. Click here to view additional details. Wildflower! would not be possible without the help of more than 1,500 community-minded volunteers. In short, they ARE Wildflower! Our Volunteer Program is a nationally recognized, award-winning effort that’s been modeled by other events and offers individuals and organizations an opportunity to give back to the community. Anyone or any organization is eligible, from individuals who just love music and the camaraderie, to civic,social organizations, church, professional and corporate groups. All Volunteers must be at least 18 years of age. In exchange for their services our volunteers receive a “Volunteer T-shirt”, and two Single Day General Admission Tickets (one to be used to get into the festival to volunteer). For each additional volunteer shift worked, volunteers receive an additional Single Day Ticket. Shifts are for four hours and some duties include ticket taking, handing out programs, floater, kids area, access control, information booth, and cashiering. Click here to sign up as a Wildflower! Volunteer or contact the Volunteer Coordinator at beverly.halperin@cor.gov.